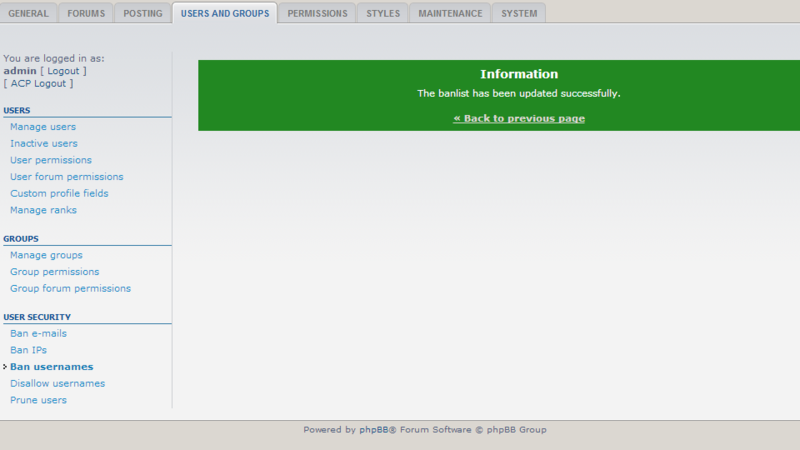 In this tutorial we will show you how to ban a user from your forum using the Ban Usernames feature of the phpBB Forum platform. 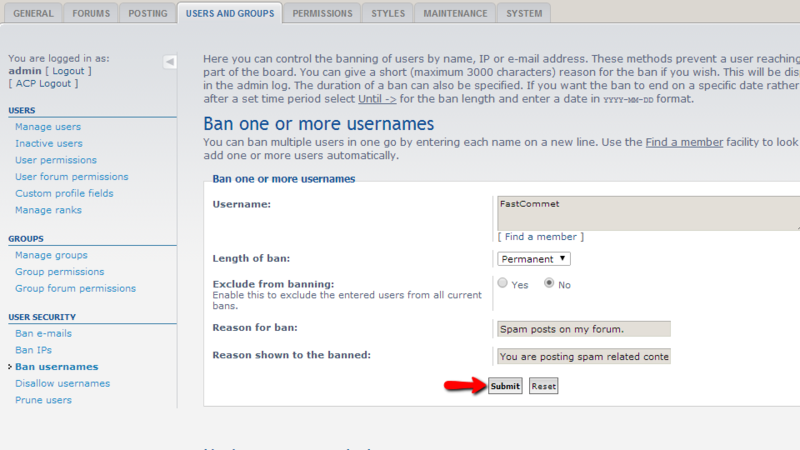 In order to access the banning feature of your Forum you will need to know the username of the member you would like to ban. Then you will need to login into the Administration Control Panel of your Forum and navigate to Users and Groups>User Security>Ban Usernames. 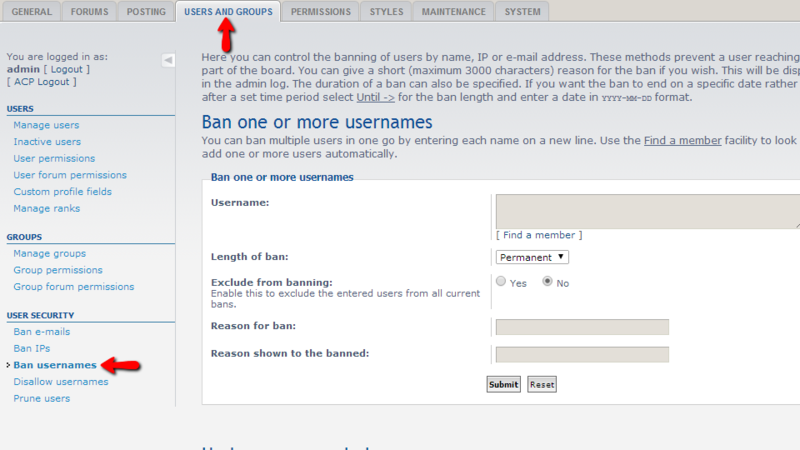 Once you access the user ban interface you will notice a single section called “Ban one or more usernames” where the configuration for the ban will be performed. As soon as you are ready with the configuration of these option you should simply use the submit button at the bottom of the interface to place the ban. Once the ban has been placed you will receive a message related to that and with this the procedure of banning a member is completed. That is all you will need to ban a user from your Forum.